Dominator, Geauga Lake: This is a B&M floorless that used to be called "Batman - Knight Flight" back when Six Flags owned the park. 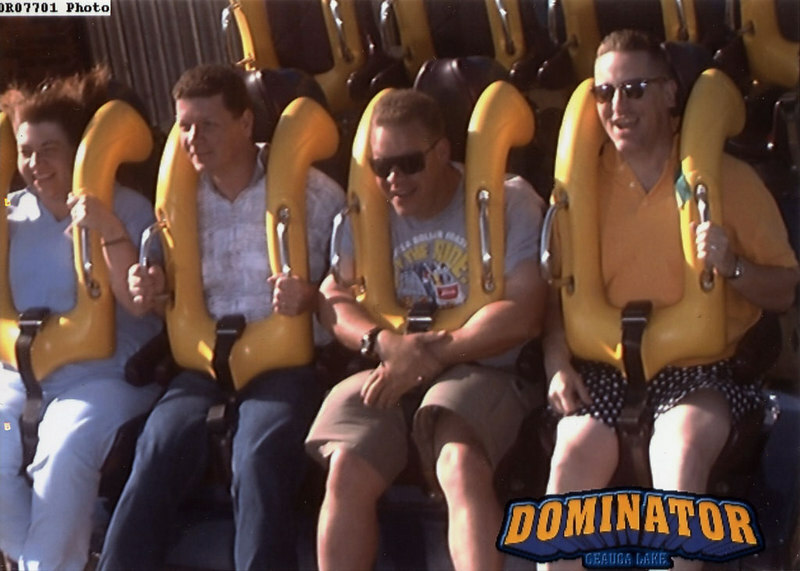 Since Six Flags sold the park to Cedar Fair, but retained several comic book/ride licenses, Geauga Lake recently had to rename several of their roller coasters, and this one is now "Dominator". In any case, here I am riding with Will during morning ERT.